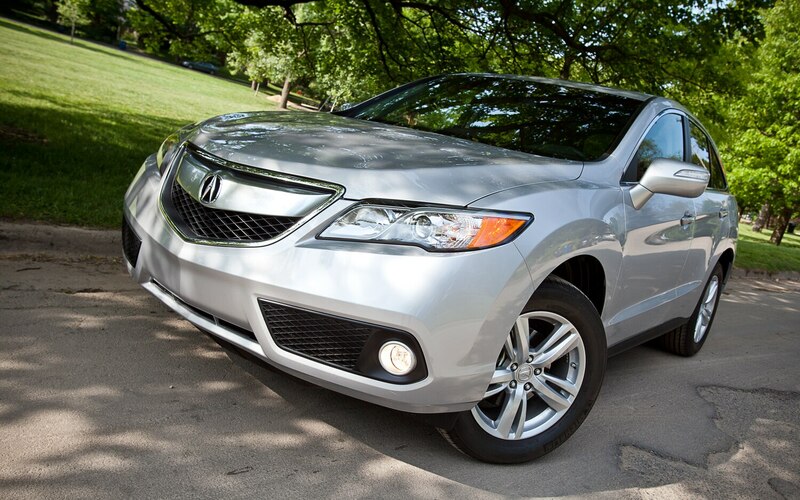 The 2013 Acura RDX is a bit of an anomaly. 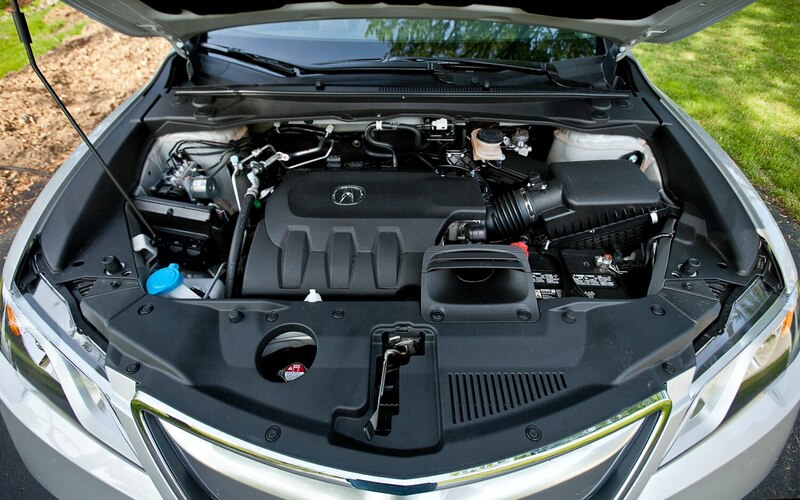 While most automakers are switching to smaller, turbocharged engines to achieve higher EPA numbers and entice buyers (as well as meet new government-mandated CAFE requirements), Acura has chosen instead to drop the RDX’s turbocharged four-cylinder in favor of a normally aspirated V-6. The crossover still manages to improve upon its previous fuel economy figures, although the increase is fairly small: the all-wheel-drive model sees the most significant increase with a combined rating of 22 mpg, up from 19 mpg. This might not sound like a particularly good number for a small crossover but when compared to others in its class, it stacks up pretty well: six-cylinder all-wheel-drive versions of the Audi Q5, BMW X3, and Cadillac SRX achieve 20, 21, and 18 mpg, respectively. The new V-6 helps the RDX better compete with those vehicles in terms of refinement, too. Last year’s turbo four wasn’t a bad engine but it wasn’t what buyers were looking for in a luxury SUV. The V-6 still provides plenty of oomph and dynamically the RDX is still excellent. 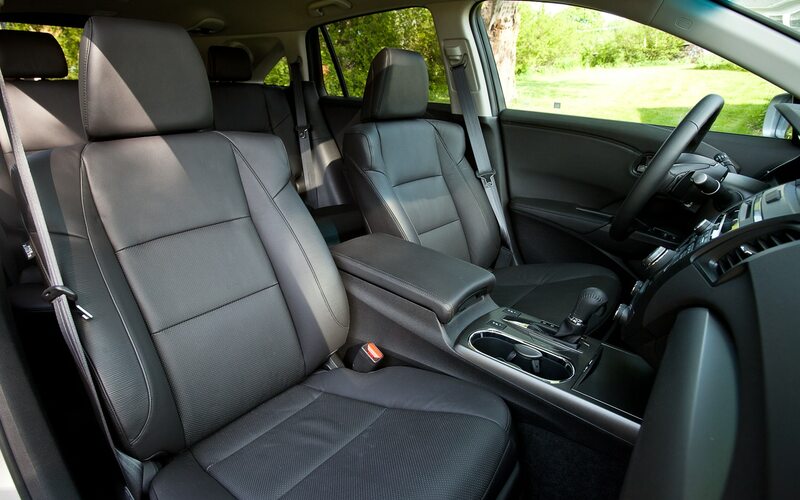 The drab interior was also addressed so it more closely resembles its big brother, the MDX, inside as well as outside. 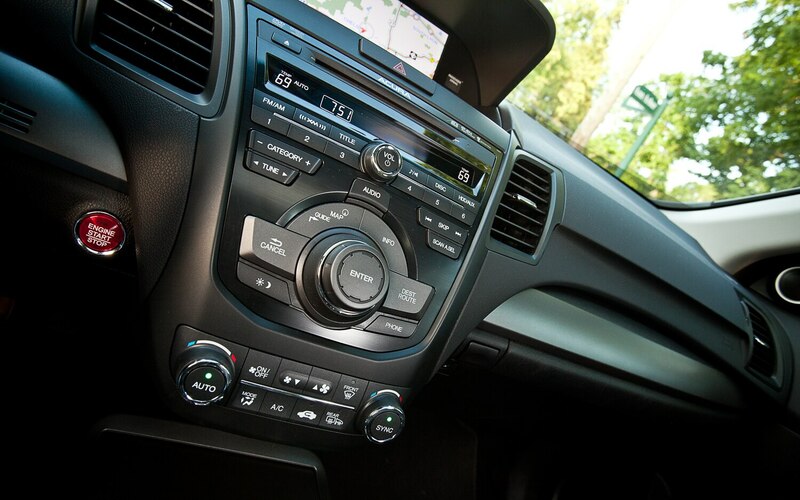 High-quality materials are in abundance and the controls couldn’t be more straightforward. The improvements that Acura made to the RDX are not only pronounced but they are very well-done and should go a long way toward getting it back on small luxury-ute buyers’ lists. I drove the new RDX about 450 miles over Mothers Day weekend, and I can report that it passed the Old Lady test. I hoisted my 89-year-old mother into the front passenger’s seat — always a challenge in any vehicle that has an elevated ride height — and I was a little disappointed that it didn’t have power up and down, only back and forth, but she was satisfied with the standard seat height. We set off down the road toward my sister’s for dinner. After about half a mile — admittedly on smooth pavement — unprompted by me, my mother remarked, “This sure rides nicely.” I think she also liked the view out of the windshield, and she noted the prominent ACURA badge at the top of the center stack; I’ve driven her in many cars that have no immediately identifiable brand badging in the cabin. “Yes, I’ve heard of Acura,” she said. You have to understand; in my rural Michigan hometown, Acura counts as an exotic brand. If you can get past that sort of brand snobbery, the RDX offers most of what people want in a small luxury crossover (I say most, not all, because I didn’t see blind spot detection or radar cruise control on our fully loaded tester), and the new V-6 is powerful and smooth and has the right character for a $40K vehicle. Fuel economy isn’t bad, either; according to the trip computer, I averaged 24 mpg over a 385-mile trip (more than one tankful), in a mixture of freeway and two-lane driving. The front fascia of the RDX looks much more squared off than before, which makes it a bit awkward to my eyes. 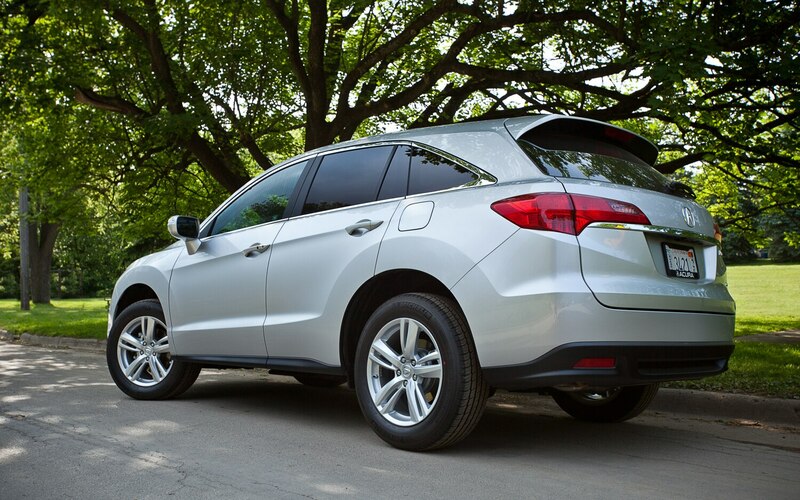 The RDX now rides on a longer wheelbase with the wheels pushed out to the corners and smaller overhangs. It certainly looks more like a traditional SUV than the old RDX did. 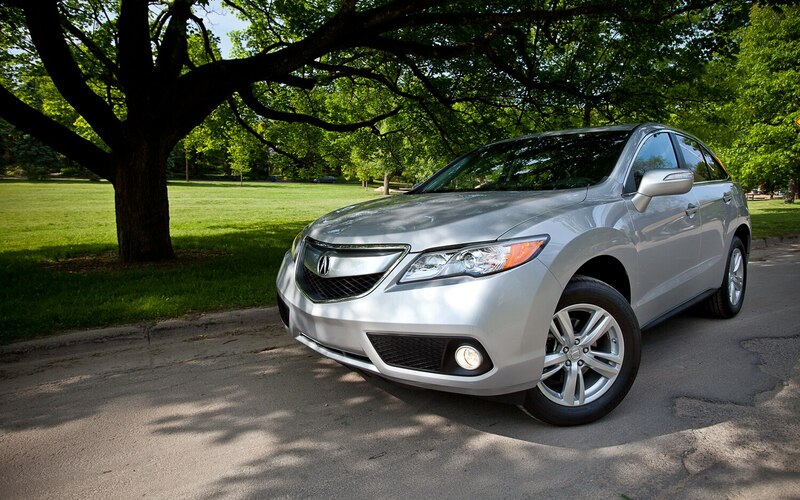 Despite looking much bigger than last year’s car, the 2013 Acura RDX is only about an inch longer than before and it’s only an inch and a half longer than the shortest offerings in this segment. Wow, Acura really transformed the character of the RDX by ditching the peaky turbo four and using a normally aspirated V-6. 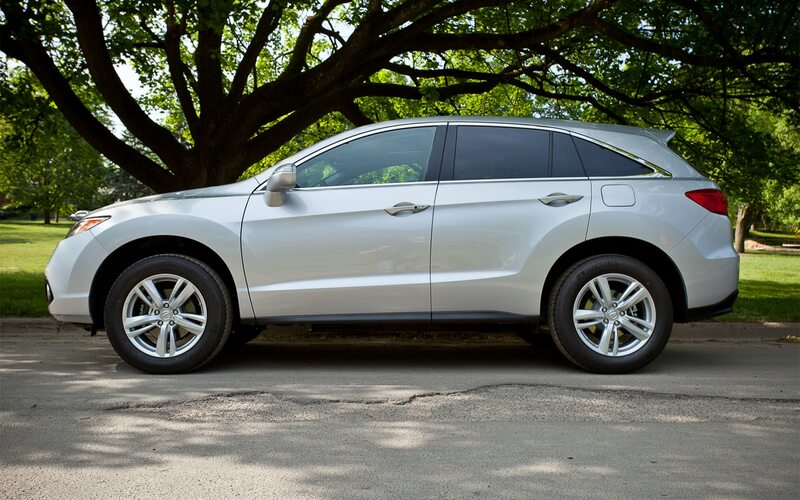 The RDX now pulls away from a stop effortlessly and, more importantly, smoothly. Downsized turbocharged engines usually do wonders for fuel economy but they can really compromise drivability if the powertrain isn’t perfectly calibrated. Last year’s Acura RDX wasn’t perfectly calibrated. The V-6 engine is silky smooth and it offers better fuel economy than the old turbo four. Whereas the turbocharged engine probably won’t be missed by anyone, there are probably a few people mourning the loss of Acura’s signature SH-AWD system. I found it to be overkill and largely irrelevant in this small crossover. For some shoppers, the mechanically simpler V-6 and traditional AWD could be a real selling point. 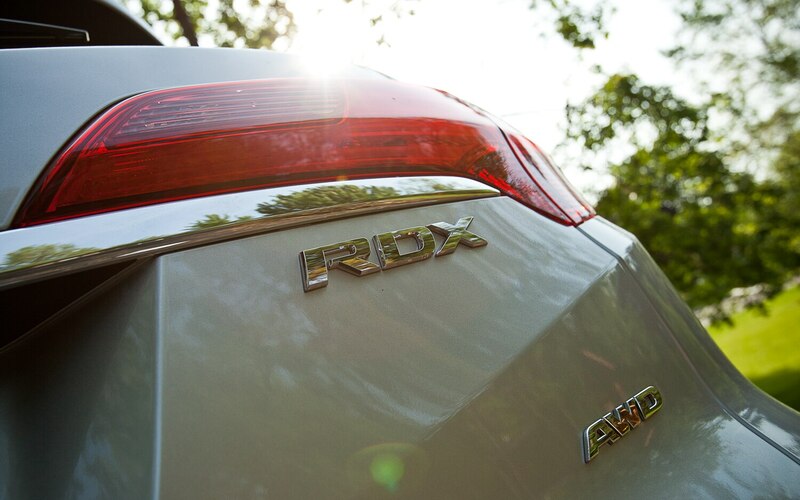 The powertrain isn’t the only area of the RDX that’s considerably smoother than before – it’s incredible how well the RDX rides and handles. Terrible road surface quality doesn’t mean the occupants are shaken like a martini. The RDX does a fantastic job of dampening impact harshness yet it doesn’t feel too soft or wallowy. This is very impressive for a crossover. Remember, the refreshed RDX is one of the first products from the new Acura, which also promises to deliver an NSX in a few short years. If something as pedestrian as a crossover feels this good without SH-AWD or performance pretentions, I cannot wait to drive the new RLX flagship sedan. Or even the ILX compact luxury sedan. I was worried about Honda/Acura for a while, but now I see signs of life. It was only a few months ago that I first saw the RDX on display at the Detroit Auto Show but driving it for the first time over the weekend I was struck by how familiar it feels. 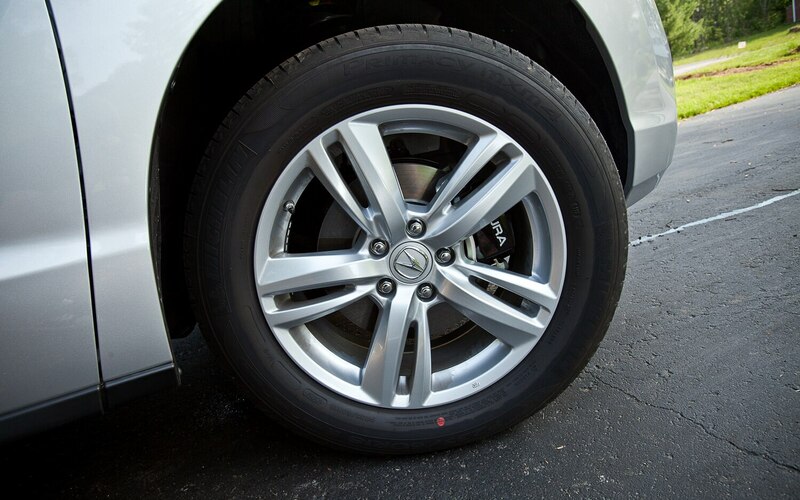 The reason is the Acura MDX. If you’ve spent any time in Acura’s larger crossover you’ll be right at home here — the exterior, interior, controls, and even the smell are basically the same. This is hardly a criticism given that the MDX is one of our favorite large crossovers and that the best offerings in this segment, namely the Audi Q5 and Mercedes-Benz GLK, are close imitations of their respective bigger brothers. Clearly, Acura has learned its lesson from the old RDX, which was something of a red herring in the segment with its boisterous turbo four-cylinder (nothing like smooth and docile 2.0-liter turbo that comes standard in the Q5) and torque-vectoring all-wheel drive. There is a niche for a rowdy and sporty small crossover, as the Nissan Juke has proven, but Acura had no business messing around in what is now a bread-and-butter segment for premium brands. For the few who do mourn the old RDX, it’s worth noting that the new car is hardly a dynamic slouch. It exhibits excellent body control and accelerates crisply. 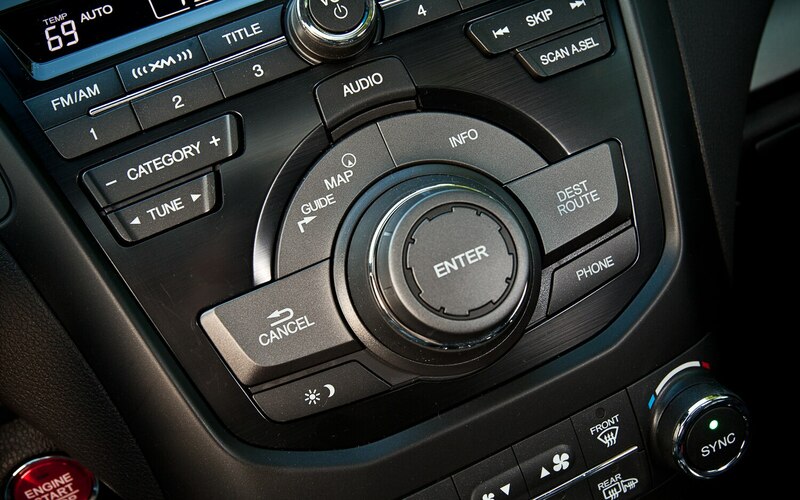 The sport mode in the six-speed automatic transmission offers even snappier responses but is still calm and smooth enough so that you can use it around town. I’m not a fan of the steering. As in other newer Acuras including the TL and TSX, it’s much too light and transmits absolutely no feel. We know Honda engineers can do better than this. 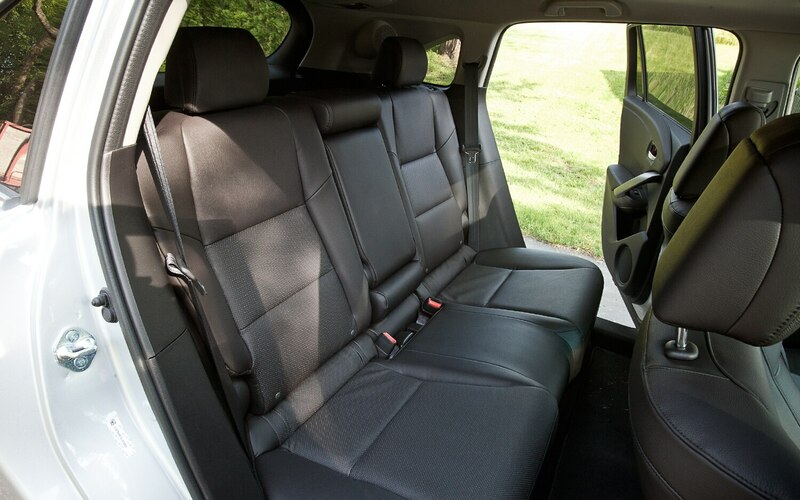 The interior, as noted, is pretty much a downsized version of what you find in the MDX. 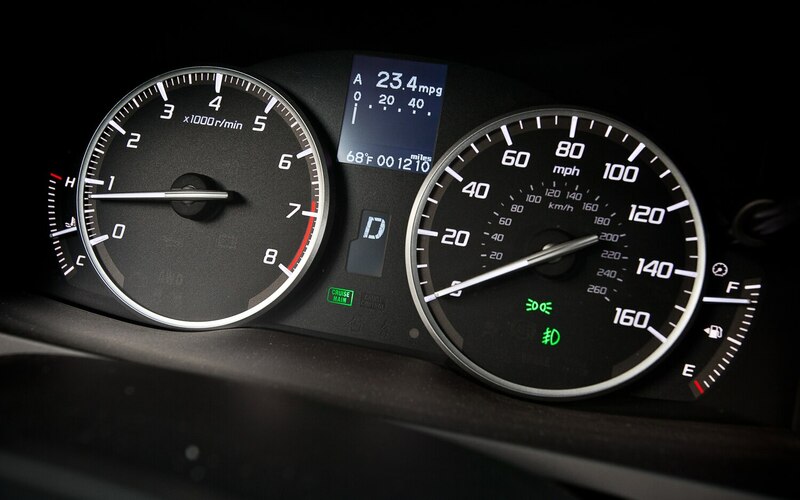 That includes Acura’s trademark infotainment system, which suffers due to its dated graphics but otherwise works well once you’ve familiarized yourself with the basic functions. The cheap dash materials of the old RDX have been banished and now it’s difficult to find a patch of hard plastic. One area Acura must improve if it wants to play with the big boys is interior trim, which is still lame painted plastic in this model. 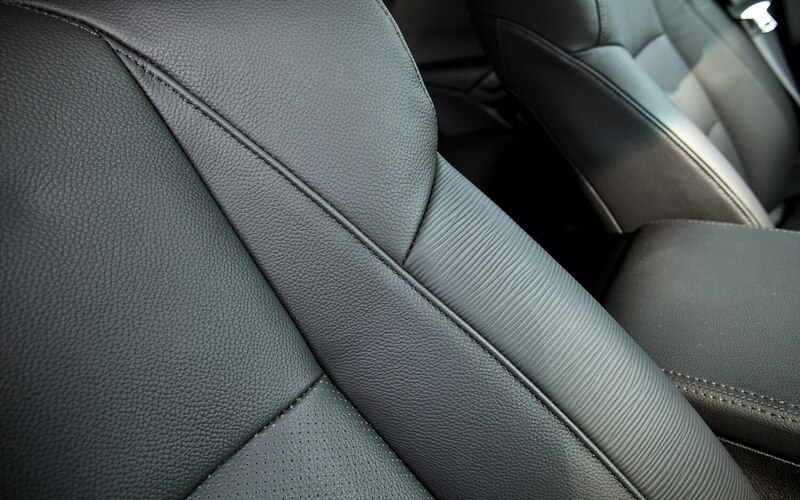 Most competitors are experimenting with exotic looking wood, aluminum, and carbon fiber trim. Acura does know what it’s doing when it comes to packaging. I was able to fold the rear seats down in approximately five seconds by pulling the levers in the rear hold. 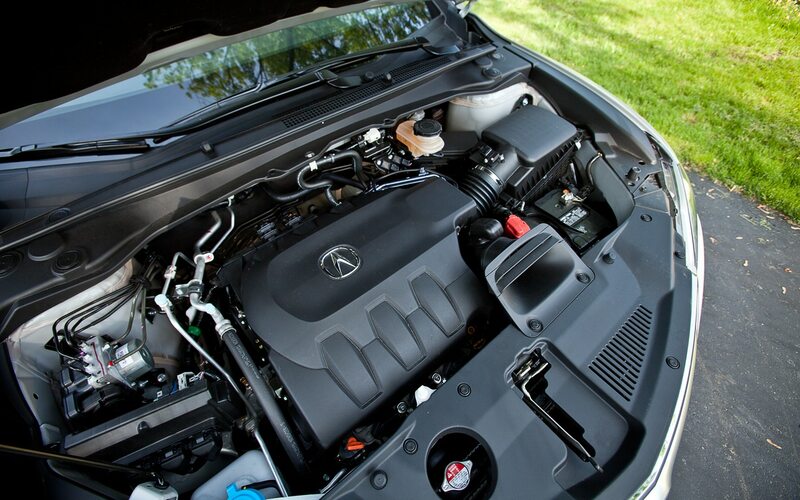 The 3.5-liter V-6 in this Acura is both more powerful and more fuel-efficient than the outgoing turbo four it replaces.